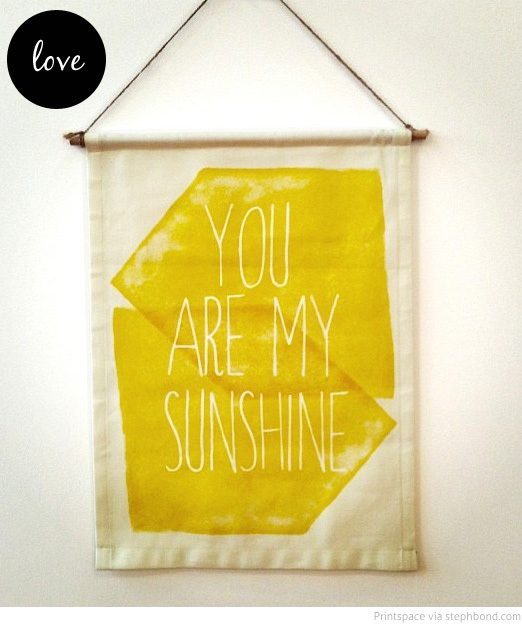 It's a perfect storm of my love for yellow, a sweet quote, and an ever-so-cool wall hanging. Printspace has aced it with this fun wall decor - perfect to brighten up a child's room, an office, study or little nook. You can find this wall hanging in the Printspace online store. Read more about Melbourne-based Printspace here on Bondville.